Call us or email us if you don't see your product! View cart “New Mexico Red 10lb MILD Whole Stemless Pods” has been added to your cart. 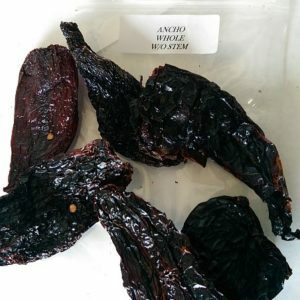 The ancho chile is the most widely utilized Mexican chile and is frequently used in enchilada sauces, salsas, and molés. It ranks in at around 2,500-3,000 Scoville Heat Units and provides a mild to medium kick to any recipe. The sweet flavor of this popular chile is designed to taper the heat and prevent your mouth from being set ablaze. At The Chile Guy, we provide only 100% pure, natural chiles. Our chiles, selected by the countrys leading purveyor of chile, are the finest in flavor, heat, and color. Whether you are looking for sample sizes or bulk wholesale, The Chile Guy has the ancho chile powder you need. 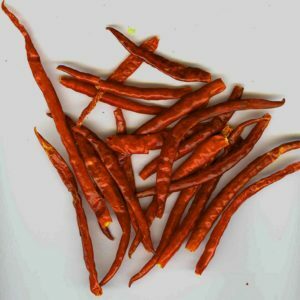 As one of the most widely grown and used chiles in the world, chile de arbol, or “bird’s beak”, is an essential chile powder for any kitchen. 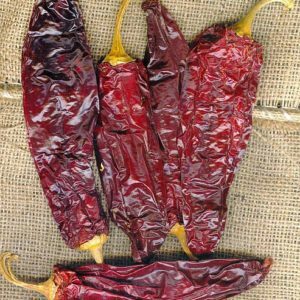 With a 15,000-30,000 Scoville Heat Unit range and a smoky, earthy taste, chile de arbol, like its cayenne pepper cousin, is the perfect additive to any authentic Mexican dish, stew, soup, or Cajun dish. 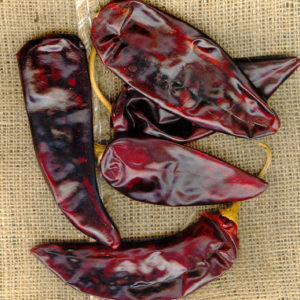 A Mexican chile with medium heat and a sweet, fruity undertone, the Guajillo chile can be compared to New Mexico chiles. However, the flavor is deeper and sweeter, making it essential to Mexican dishes and any fusion experiment. These are available de-stemmed for convenience. Chipotle Morita is a smaller ripened jalapeno with a purple hue and smoky flavor. Now available de-stemmed for your convenience. This “little blackberry” packs plenty of flavor and moderate heat. Grown in the Southwest region of the United States, New Mexico hot chiles provide a quick heat and good flavor to all of your New Mexican dishes. 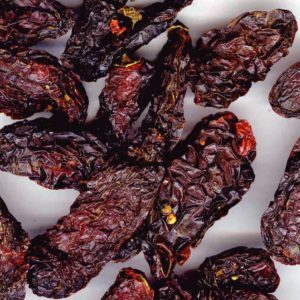 New Mexico mild chiles average between 500 to 1,000 Scoville Units, providing the warm flavors of southwest New Mexico without overwhelming heat. This chile powder is a good addition to soups, stews, sauces, rubs and other long-simmering applications. Country. U.S. (New Mexico). Unique Southwest flavor, mild (2-4) Key ingredient for Red Chile sauce, dishes. You won’t believe it. Beautiful, Color, Hatch Flavor and Mild Heat! This is the real deal. From Hatch to you by way of The Chile Guy. Country. U.S. (New Mexico). Unique Southwest flavor, mild (2-4) Key ingredient for Red Chile sauce, dishes. You won't believe it. Beautiful, Color, Hatch Flavor and Mild Heat! This is the real deal. From Hatch to you by way of The Chile Guy. All orders, unless otherwise specified, are subject to the terms and conditions of the current published price list. Price is Subject to change without Notice: Prices may change before new price list is printed. Terms of Payment: All Invoices must be paid in full at time of sale, unless terms are specified before sale. Product Returns: All sales are final. No returns accepted after 7 days. No cash refunds. A 20% restocking fee will be charged on all returned items. Special Orders: Sales of special order items are final. No refunds, no returns. Freight Charges: Are FOB Bernalillo, NM warehouse. The Chile Guy reserves the right to add insurance on all orders over $100. Frozen Green Chile is shipped via Frozen container and quotes are generated on a per order basis and can vary based on destination. Repackaging: All prices are based on bulk amounts 5 lb minimum. A $3 per box packing charge will be applied on orders which have a total product weight of less than 5 lbs. Orders Received after 1 p.m.MST will ship next business day.